Today I’ll be talking about natural hair products and tools that I use consistently and will always repurchase. The products that you use and the manner in which you use them play a huge part in the health of your natural hair. Before I begin naming tools and products, I’m going to say this: 🗣 Do your research!! Don’t just take my word for it, read the ingredient lists, check out the websites, and be informed on the the items you use on your hair. Now that I’ve said that, let’s get into it. I use a detangling brush to separate my strands and I brush my hair from the tips up to the root. If I come to a snag or tangle I’ll gently detangle it with the brush or use my fingers. You need to be very GENTLE when detangling your hair or you will cause breakage andddddd we don’t want breakage. I like to use a leave in conditioner when detangling, especially one that has a little slip. “Slip” is when you add a product to your hair that is slippery and helps coat your hair so that the brush or tool “slips” or glides easily through your hair. That way you aren’t brushing or detangling dry hair, which can also cause breakage. 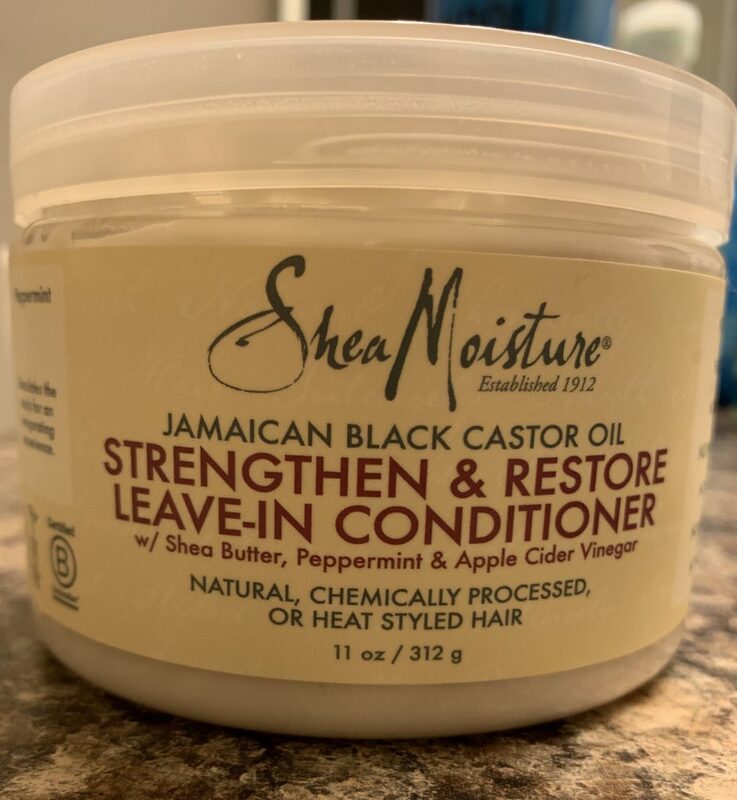 One of my favorite leave in conditioners is the Shea Moisture Jamaican Black Castor Oil Leave In Conditioner. I bought my brush a couple years ago from TJ Maxx. It originally looked like a knock off version of the Tangle Teaser. It broke, so it looks like one of those scalp massage brushes. Nonetheless it gets the job done. Fun fact: A denman brush works best for defining curls! You can still use it to detangle of course, but it doesn’t do well with my hair. I used to get super annoyed when I tried to use it to detangle my hair. I use a rat tail comb specifically to part my hair when I’m wearing flat twists or a style where the parts in my hair need to be really precise and straight, like box braids or twist. 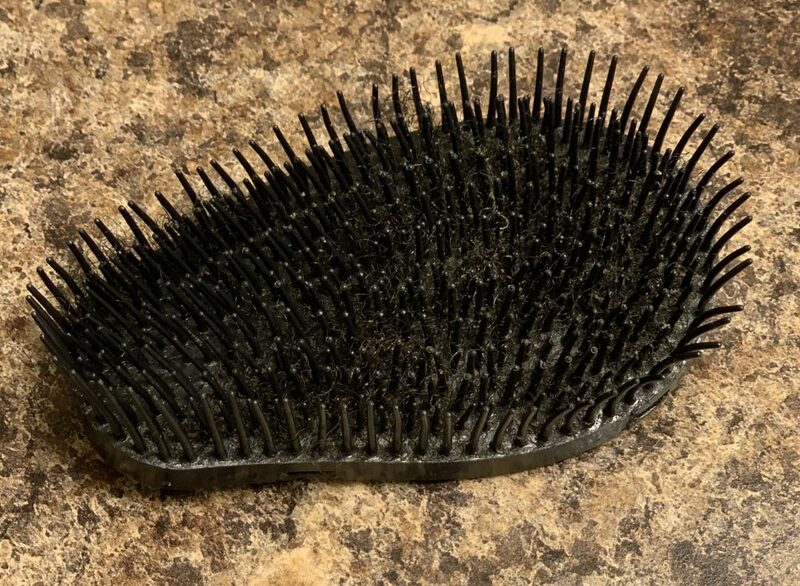 I never use a comb with small teeth to detangle my hair and you shouldn’t either! Again, that’s another way to cause breakage! As you can tell, there are many things that cause breakage which is why it’s so common and hard for some people to retain length. 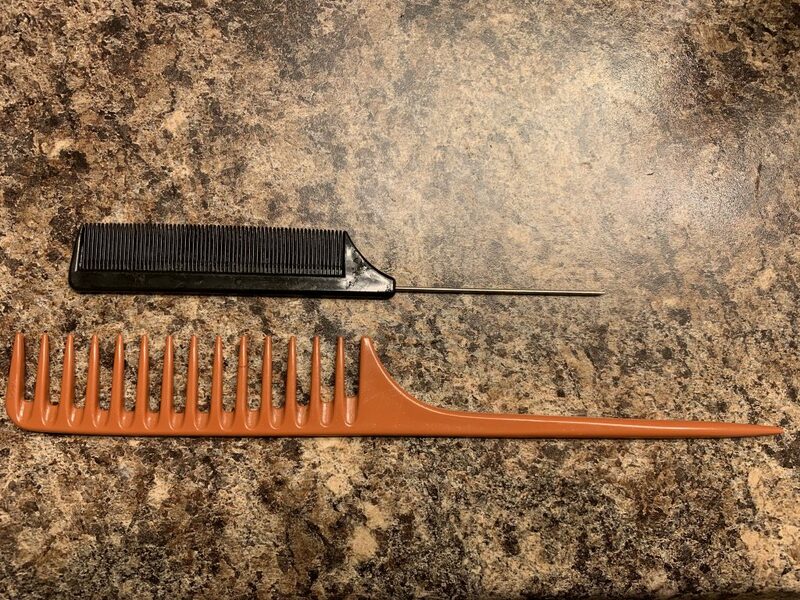 If you’re going to use a comb to detangle, use a wide tooth comb and take your time. It’s never a race to detangle your hair. I prefer rat tail combs with metal tips. They are able to make the parts super straight versus an all plastic rat tail comb. One of the best tools to use for your hair is your hands. It’s easy, and you always have them with you. I love to use my hands and fingers to apply products in a praying hand motion down the length of my hair and to detangle. Make sure you stop when you run into a tangle and patiently detangle that part first before continuing. I really like this leave in conditioner by Shea Moisture. It has a thicker consistency rather than one that is runny/slippery but it still adds a lot of moisture. I usually use this conditioner as the “L” in the LCO or LOC method. I like to use this on my hair before I put a protective style in too. You can purchase it here. Shea Moisture’s Curl Enhancing Smoothie is a staple product in my arsenal. This is the “C” in my LCO (liquid , cream, oil) or LOC (liquid, oil, cream) method for moisturizing my hair. This product definitely defines my curls in my twist outs and braid outs especially if I’m using the LCO method. And after I apply this to my hair, the oil will kind of lock in the curl definition. I love the consistency of it too. You can buy it here. 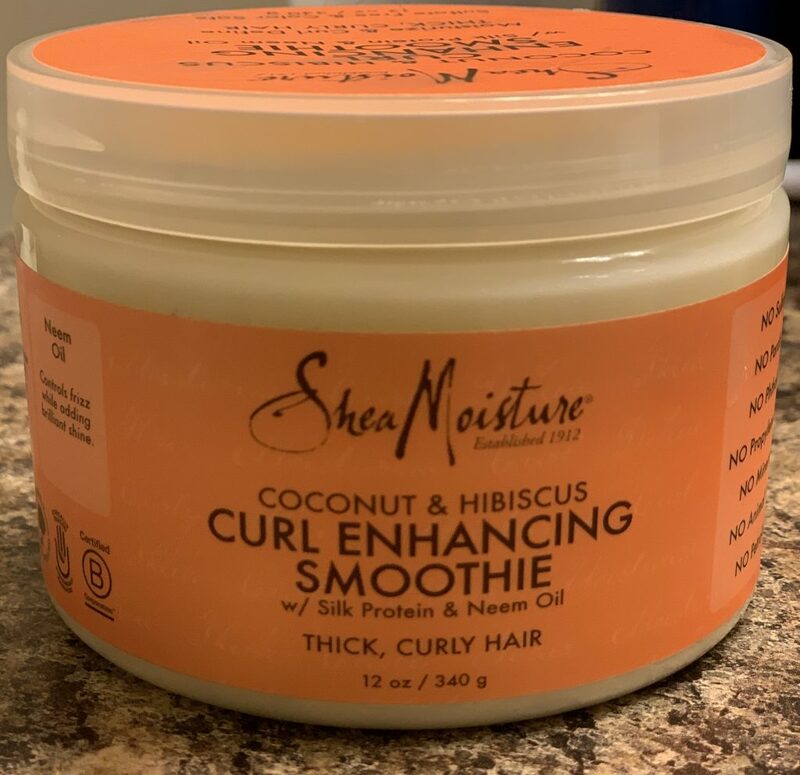 The Shea Moisture Coconut & Hibiscus Curl Enhancing Smoothie is my favorite product for the “C” in the LOC or LCO method for moisturizing my hair. I love Jamaican black castor oil. It’s a definite staple on my product list. It’s very thick and heavy. I use this oil to seal my hair by using the praying hand method to distribute the oil and I massage it into my edges to stimulate growth. I plan on using it a lot more this winter since I’m afraid of what my hair will do postpartum. I know, I know, postpartum shedding is natural and temporary but I’m still a little scared. I usually coat my ends with this oil throughout the week and sometimes I add it to my deep conditioner. Since it’s so heavy I try to use it sparingly on my scalp. 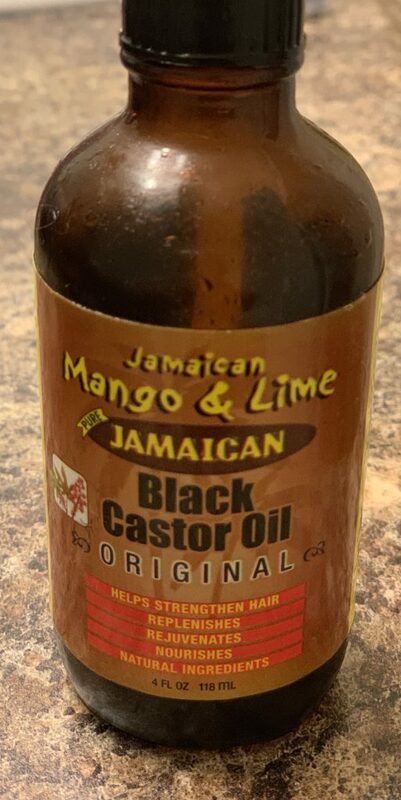 Jamaican Mango & Lime Jamaican Black Castor Oil is perfect for the “O” in the LOC or LCO method to moisturize my hair. I absolutely live for olive oil. I use it the most for pre-shampooing or pre-pooing my hair. The purpose if a pre- poo is for your shampoo to remove those oils before it gets to your hair’s natural oils and prevents stripping your hair. I usually add a generous amount to my hair on wash day or the night before and cover it with a plastic cap or plastic bag (try it, who doesn’t keep plastic bags on hand?). Then I go ahead and move forward in my wash day routine. You can also use coconut oil and olive oil for the “O” in the LCO or LOC method. If you’re interested in tweaking your wash day routine or you don’t know where to start, subscribe to my blog (here) and you’ll receive my free “How to Conquer Wash Day” flowchart. If I don’t have olive oil, then I’ll use coconut oil. I usually always have coconut oil. I use it to remove make up. Now girl, if you’ve never used it for this purpose then what are you doing?! It removes matte lip colors so well, no more scrubbing your lips, mascara is a breeze to remove, and so is eye make up. 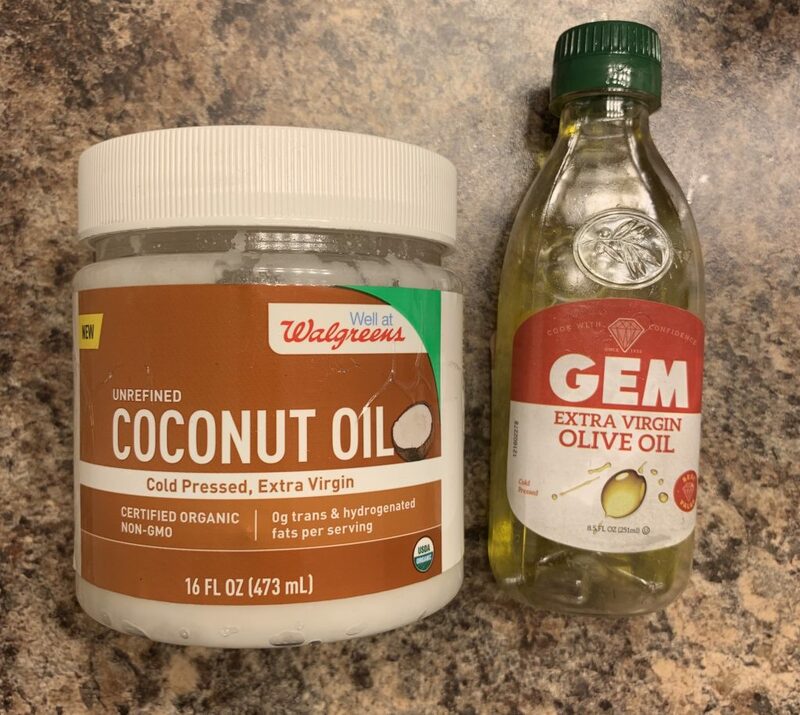 I also use coconut oil and olive oil to try to combat my daughter’s cradle cap. It seems to be working. Extra Virgin Olive Oil and Extra Virgin Coconut Oil are great for pre-poos and the “O” in LOC or LCO method. 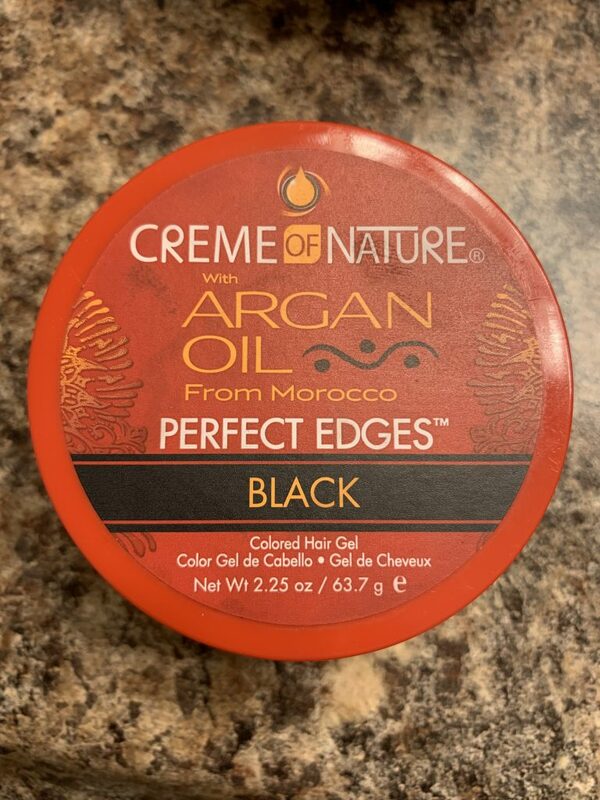 I don’t use edge control a whole but, when I do, I reach for the one by Creme of Nature. So far this is the best one for my hair and it’s affordable to me. I currently only have the one in the color black, but I use the regular more often. I like to use the edge control on my flat twist halo style, box braids, and twists, when I want to look together. Creme of Nature Perfect Edges- the name states it all! So these are the products that I like to use on a regular basis. I will always go back to these products even when I buy other products to try out. 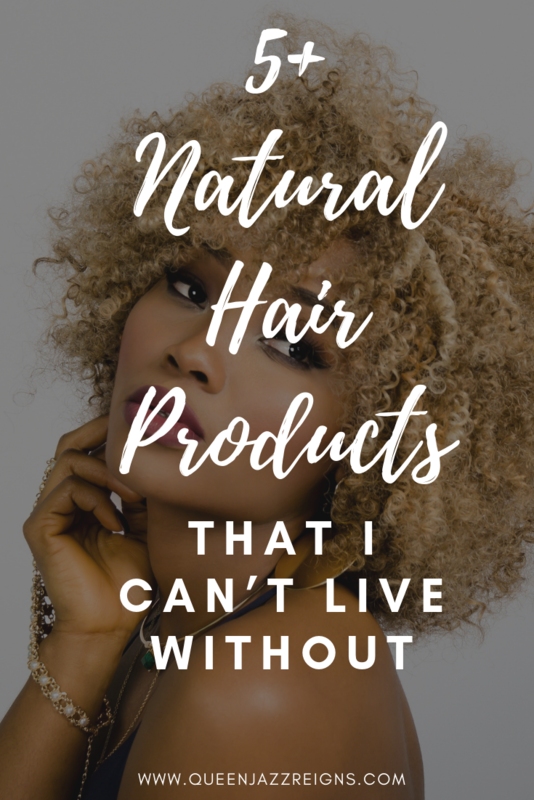 What products work well for your natural hair? Do you have a regimen? Let me know in the comments below. Love it sissssssss! I’m going to look into the coconut oil n start using that ! Thanks sis! Yes, definitely give it a try!